The Australian Treasury has moved to implement recommendations made in yesterday's Royal Commission report, including banning trail commission and the possibility of a fee-for-service model for mortgage advisers. From July 2020, the Australian government will ban trail commission and look at banning other forms of upfront commission. In three years' time, the Australian government will assess moving to a fee-for-service model for mortgage advisers. 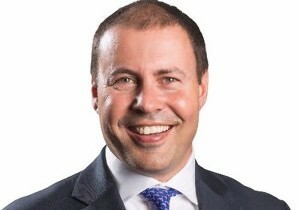 It will also look at banning clawbacks, Treasurer Josh Frydenberg (pictured), said. The support for Kenneth Hayne's recommendations comes after the QC revealed his final report into misconduct in the banking, superannuation and financial services industries. The report was highly critical of the remuneration relationship between banks and mortgage advisers. Hayne hit out at trail commission, calling it "money for nothing". The report claims commission paid out by lenders to mortgage advisers is a conflict of interest, and borrowers should pay a fee to their adviser or bank for their mortgage. The Australian Treasury has given the trail ban the green light, but will consider the potential effects of an outright ban on all commission. Frydenberg has suggested an outright ban on all commission would play into the hands of the banks. As a result, the government will look into the feasibility of such a move before making a decision. The Treasury said in a statement: "The Government agrees to address conflicted remuneration for mortgage brokers. The Government recognises the importance of competition in the home lending sector and will proceed carefully and in stages, consistent with the recommendation, with reforms to ensure that the changes do not adversely impact consumers’ access to lenders and competition in the home lending market." and prohibit the cost of clawbacks being passed on to consumers." "The Government will also ask the Council of Financial Regulators, along with the Australian Competition and Consumer Commission (ACCC), to review in three years’ time the impact of the above changes and implications for consumer outcomes and competition of moving to a borrower pays remuneration structure for mortgage broking, as recommended by the Royal Commission, and any associated changes that should be made to non-broker facilitated loans."